We have shown previously, using an animal model of relapse, that acute exposure to intermittent footshock stress induces reinstatement of heroin-taking behavior in rats. 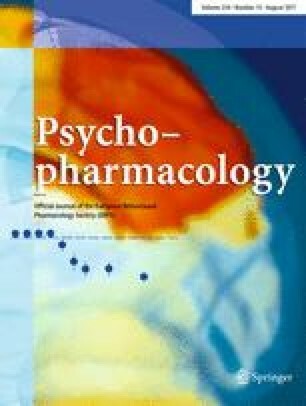 Here we report that in rats trained to self-administer cocaine, exposure to acute intermittent footshock stress induces reinstatement of cocaine-taking behavior after prolonged extinction sessions and after a 4- to 6-week drug-free period; an effect comparable to that induced by a priming injection of cocaine. Animals were initially allowed to self-administer cocaine HCl (1.0 mg/kg per infusion, IV) during one 3-h session/day for 12 days. Subsequently, extinction conditions were introduced by substituting saline for cocaine so that lever-pressing resulted in IV infusions of saline rather than of drug. Extinction conditions were maintained until animals made 15 responses or less in the 3 h, after which animals were given saline infusions at the start of each daily session to establish baseline responding of ten responses or less. Subsequently, animals were tested for reinstatement of responding for saline infusions following a non-contingent injection of cocaine (2.0 mg/kg, IV) and exposure to intermittent footshock (10 min, 0.5 mA, 0.5 s on, mean off period of 40 sec). After an additional 4- to 6-week drug-free period, tests for reinstatement were repeated. Reinstatement of cocaine-taking behavior was observed in both sets of tests in response to footshock and cocaine. These results extend previous reports from this laboratory that footshock stress is an effective stimulus for reinstatement of drug-taking behavior in the rat.